Gordon Smith: Why not do Scotland a turn, Gordon, and zip it? Amid all the negativity that has surrounded the Scotland team, it has been surprising to hear Gordon Strachan being so vocal. The man who was Alex McLeish’s predecessor as national coach and who, lest it be forgotten, failed in separate attempts to lead us to the 2016 Euros and the 2018 World Cup. As he himself admitted, he was not invited to stay around and lead the bid to earn the country the chance to play at Hampden in the Euro 2020 Finals. No one doubts he did his best to deliver success over the near five-year spell he was in charge from 2013 to 2017. So much so, in fact, that when Stewart Regan – Ian Maxwell’s predecessor as the SFA’s chief executive – let Strachan go to look elsewhere for a manager, there were plenty who felt Strachan should have been kept on. That’s an important point because it was a factor in the negativity which surrounded the appointment of McLeish, a former team-mate at Aberdeen and with the national side. That negativity quietened down when we won our Nations League group with back-to-back victories over Israel and Albania. But it has risen again to become a clamour in the wake of our horrible qualifier defeat in Kazakhstan. There was a lack of cohesion and spirit about that performance, which was worrying, but there is no way Alex McLeish can be blamed for everything that happened in Nurstana. 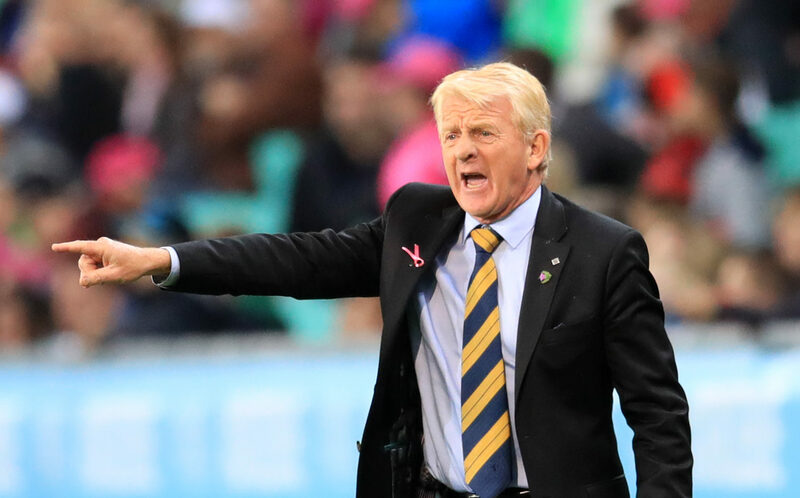 Gordon Strachan will know that from his own time in the Scotland hot-seat and, while he has not had a go at the current manager specifically, that is why it is strange to hear him being so vocal just now. The clubs have been his main target. They have been accused by him of failing to produce good players and written off as being selfish, delusional and greedy. People running academies, chairmen and media are, in Strachan’s view, guilty of viewing players who are merely “OK” as being world-class. That is not helpful. Not to the clubs and not to Alex McLeish, who has enough to be thinking about at the moment. Strachan, never known for being particularly thick-skinned when he is working in the game, will know that. His comments also leave him open to criticism I am not sure he will be able to adequately answer. Motherwell right-back, Richard Tait, hit back at Strachan, asking whether the former Scotland boss had seen Motherwell play this season. If he had, he would have been liable to see Jake Hastie, David Turnbull and Allan Campbell – an extremely exciting trio of young players – in action. And there are loads of other talented kids out there. Billy Gilmour, who left Rangers for Chelsea, looks an outstanding prospect for the future. Lewis Ferguson has enjoyed a breakthrough season at Aberdeen, and will surely be a leading contender for the Young Player of the Year award. Celtic’s Kieran Tierney – the 2016, 2017 and 2018 Young Player of the Year – is still just 21, and has already captained both club and country. While he is outstanding, there are plenty of others out there. Ross McCrorie at Rangers, Aberdeen’s Dean Campbell and Michael Johnston at Celtic are just three who come to mind. Strachan does follow the game up here, we know that. But he does so from afar. He spends most of his time in England, so I would question just how much of it he sees. It is not the first time, either, where we have been left pondering the logic behind his statements. The comment about Scotland being handicapped because of genetics, which stunt growth, come to mind. Gordon was a brilliant player himself, and there is nothing of him. Lionel Messi is arguably the best player in the world right now, and don’t forget the likes of Jimmy Johnstone, who was also tiny. There is a time for debate and there is a time to hold your counsel. If you are a former Scotland manager, and the current one is a pal, this is the latter.